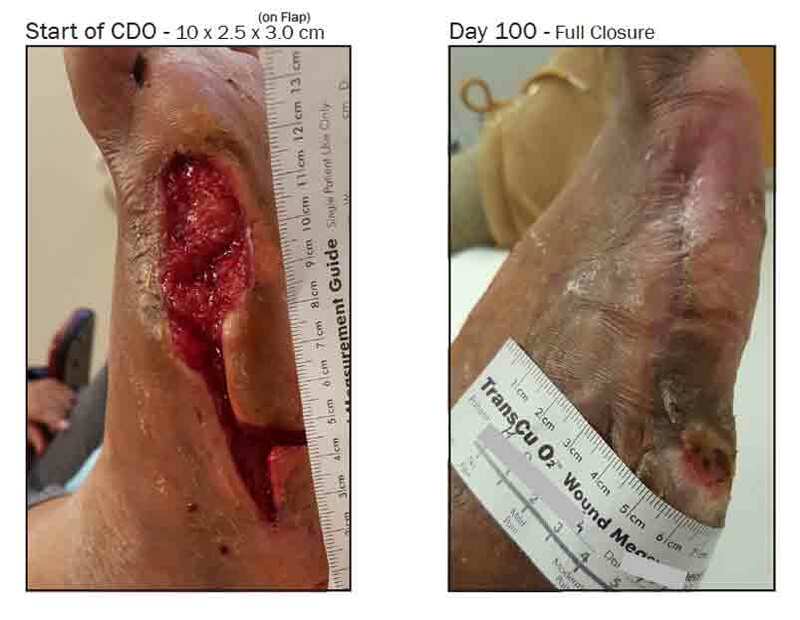 Treatment: 2 TransCu O2® units set at 10 ml/hr paired with OxySpurTM Oxygen Diffusion Dressing.Initially used with Hydrofera Blue*, Endoform* (both used to fill wound depth). 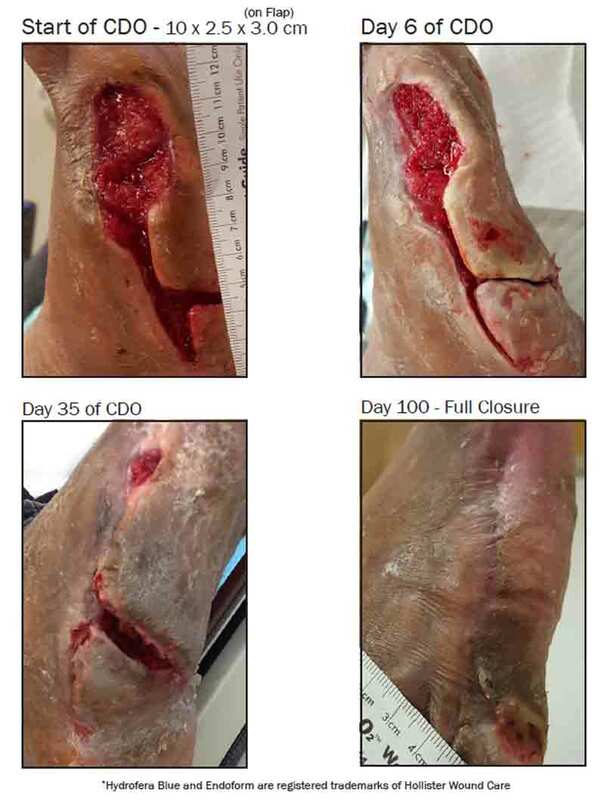 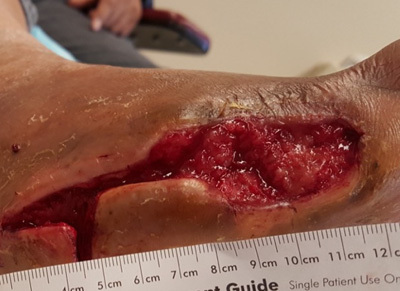 During the last 4 weeks of CDO treatment, only the OxySpur Dressing was used directly on the wound bed. 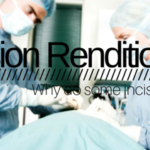 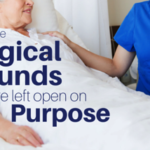 Incision Renditions: Who do some incisions fail?